Explore the wonders of magnets! Explore the wonders of Magnets! 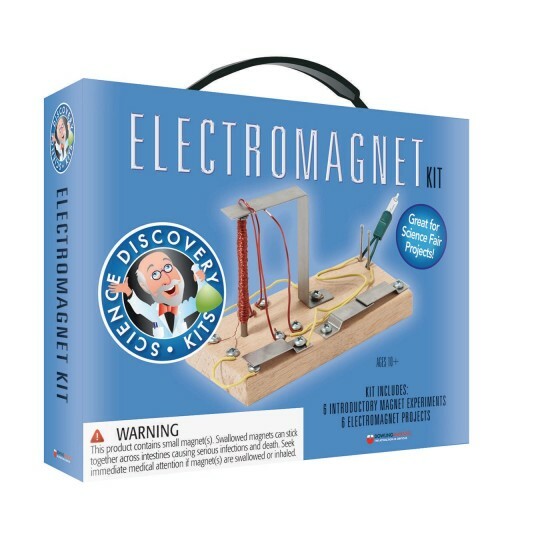 Experiment with the power of magnets and build chimes, buzzers, a motor and your own private telegraph system! For young scientists ages 10 and up. Assembly normally requires adult participation. 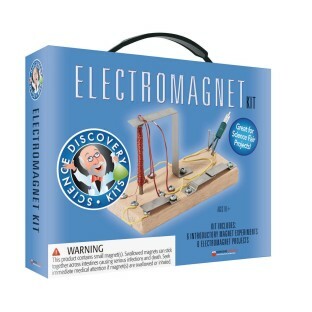 Includes Neodymium and Ceramic Magnets, Light Emitting Diode (LED), Iron Filings, Switch Plates, Compass, Battery Holders, Pre-Drilled Wood Blocks, Wire, Nails and Screws, Sand Paper, Straws and an Activity Guide.